Norichika Kanie is a Professor at the Graduate School of Media and Governance, Keio University, Japan. He is also a visiting associate professor of the United Nations University Institute of Advanced Studies and Visiting Researcher at the National Institute for Environmental Studies. He serves as a committee member of the Central Environmental Council of Japan and a member of environmental council of Nakano ward in Tokyo, Japan. Before joining Tokyo Tech, he was an associate professor at the Faculty of Law and Policy Studies, The University of Kitakyushu. 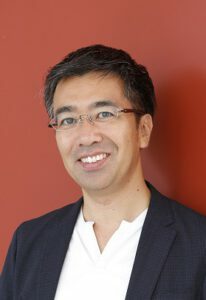 He received his Ph.D. in Media and Governance from the Keio University in 2001, after studying in the United Kingdom and the Netherlands (Erasmus University Rotterdam). He was also a Ph.D. Fellow at the United Nations University Institute of Advanced Studies (UNU/IAS). His research interests include governance, global environmental politics and multilateral diplomacy with particular focus on climate change. He is a project member/ leader of several government-funded policy oriented projects, including the Team Leader of the Target-setting Team in “Japan Low-carbon society 2050” project, funded by the Global Environmental Research Fund of the ministry of the environment (2004-2008, project leader: Prof. Shuzo Nishioka, National Institute for Environmental Studies (NIES))”. He is also a representative of the government of Japan to negotiations on future institutional development of EANET (Acid Deposition Monitoring Network in East Asia). He has given lectures and academic presentations in many parts of the world including a series of lectures in Brazil on Japan´s environmental policy sponsored by the ministry of foreign affairs, Japan held in March 2006. He also provides with commentaries and op-eds to newspapers, news journals and TV programmes, including Asahi-shinbun, The Herald Tribune and NHK (Japan Broadcasting Corporation). His recent publications include: “Governance with Multilateral Environmental Agreements – A Healthy or Ill-equipped Fragmentation? -” in Walter Hoffmann and Lydia Swart eds. Global Environmental Governance, Center for UN Reform Education, May 2007, “International Institutions Beyond Kyoto: Towards Diffused Climate Change Governance”, International Affairs No. 552, June 2006, pp.47-59, “On Issues for Mid- to Long-term Targets and Global Differentiation: Global Differentiation Regimes and Their Implications for Japan” Environmental Research Quarterly Vol 138, August 2005, pp.84-92 (Japanese); “NGOs Participation in Global Climate Change Decision-making Process: A Key for Facilitating Climate Talks” in Gunnar Sjoestedt ed. Facilitation of the Climate Talks: Dealing with Stumbling Blocks (forthcoming); Emerging Forces in Environmental Governance (co-edited by Norichika Kanie and Peter M. Haas ), United Nations University Press, July 2004; Norichika Kanie “Leadership and Domestic Policy in Multilateral Diplomacy: The Case of The Netherlands´ Kyoto Protocol Negotiation”, International Negotiation Vol8.No.2. (2003), pp.339-365. Explaining the steering effects of the Sustainable Development Goals through a detailed investigation of their institutional arrangements and actor networks, at international and national levels.